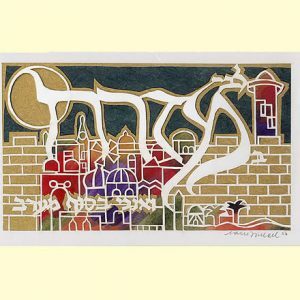 Category: Israel-Holy Land Papercuts. 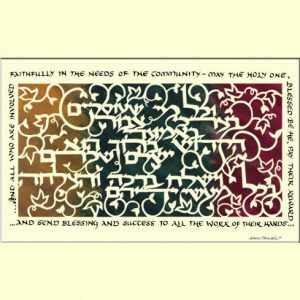 Tags: Gifts from Holy Land, Holy Land Art, Holy Land Gifts, Holy Land Papercut, housewarming gifts, Jewish Art, Jewish Wedding Gifts, Land of Israel, Papercut, Papercut Judaica, thank you gifts. 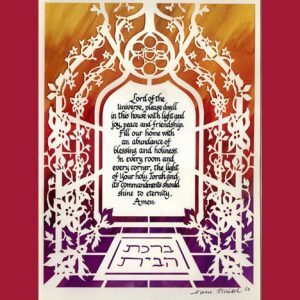 “Yearnings for the Holy Land” is special for anyone who loves the Holy Land of Israel. It is a story from the time of the sages where a man plans to leave the Holy Land of Israel. He is rebuked, as the wise sages have decreed against anyone going beyond the walls of Jerusalem. How much worse it is to leave the Holy Land entirely! The poor man pleads his case claiming that he is jealous of those who dwell in the Diaspora because they experience a true yearning for Jerusalem, and he wants to taste that kind of yearning. The sages hear his point and allow him to leave the Land on condition that on foreign soil, he will spread the praises of Jerusalem. 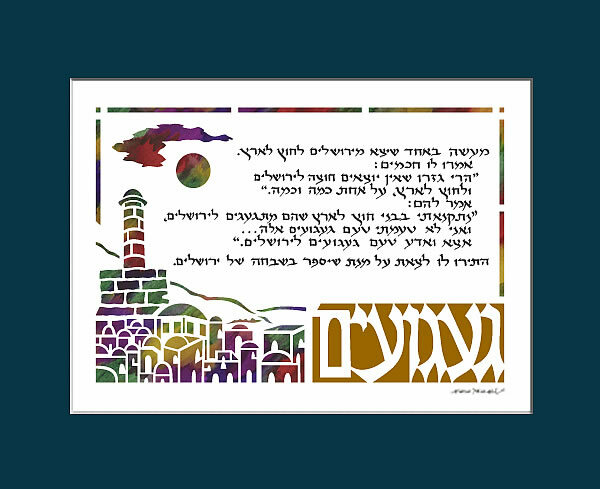 This papercut Judaica by Marci Wiesel is the perfect gift for anyone who loves Israel. 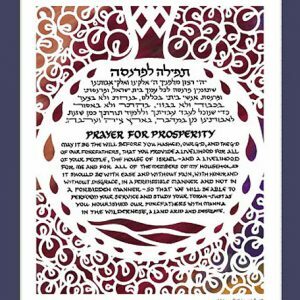 Traditional Jewish gifts of this sort make beautiful wedding gifts, housewarming gifts and thank you gifts.